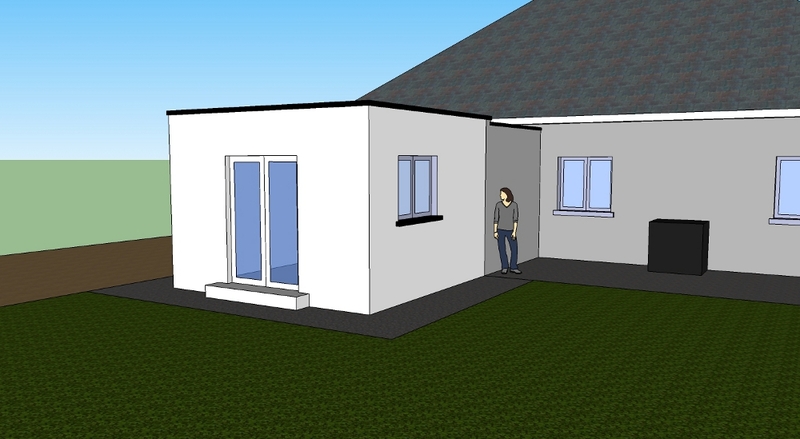 FLAT ROOF EXTENSION | Mathieu & Mitchell Ltd.
Mathieu & Mitchell were appointed by Charlie & Judith Currie to advise them on how to make their 1950's hipped-roof bungalow more energy efficient as well to provide costing for a 16 square meter extension to the rear of the house. A comprehensive energy audit was carried out and it was agreed that external wall insulation, attic insulation and the fitting of new A-rated windows and doors would greatly reduce their energy requirements. A detailed quotation was prepared clearly showing the cost for each element of the work. 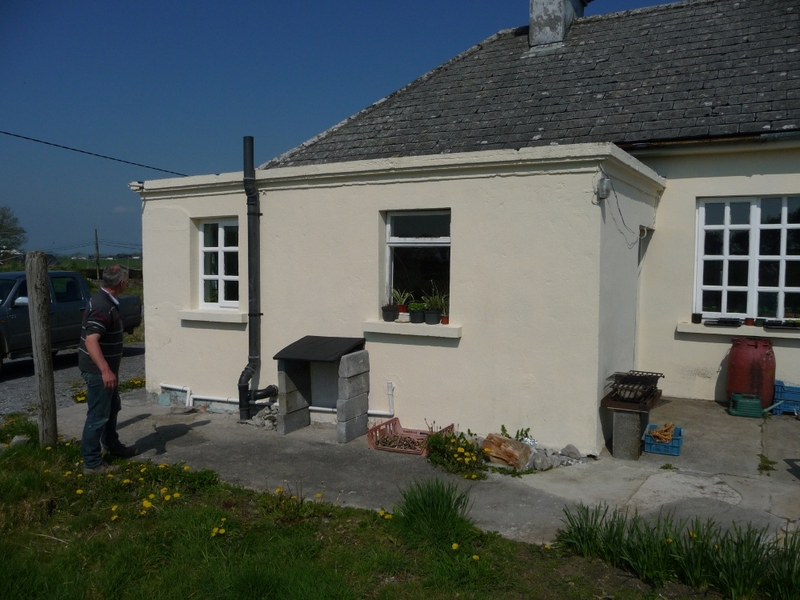 An SEAI grant of €4000 for the external insulation, €200 for the attic coupled with reduced energy bills meant that the work could go ahead in a phased manner. A ‘builder’s finish’ (ready for painting) was the agreed level of finish which allowed the clients to apply the finishing touches in their own time. This agreement suits some clients as they may have their own local painter, tiler or kitchen supplier and in many cases they are able to carry out some of the work themselves. It was decided to build the extension first and the agreed design was a simple pop-out to the rear of the house that would tie in with the existing flat roof addition that had been built a number of years earlier. 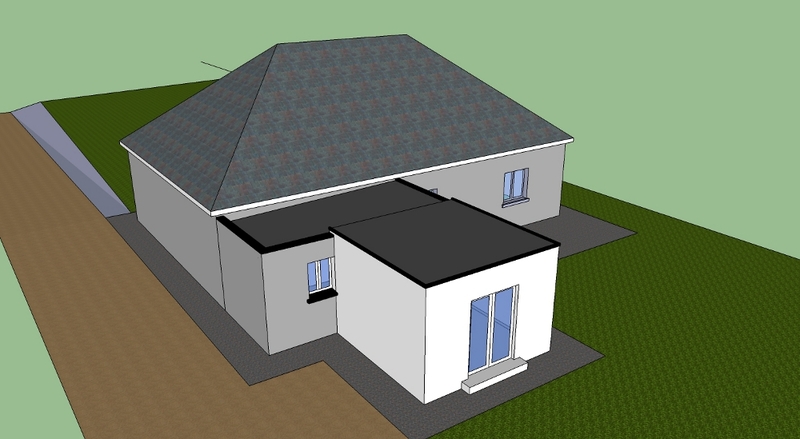 This also would allow us to run our high performance, insulated Kaliko PVC flat roof system over the existing concrete flat roof and eliminate the massive heat loss and condensation problems in this area. High performance insulation in the walls, floor and roof coupled with the south facing A-rated window and double French door ensured that this space would be very easy to heat. It took six weeks to complete the project. The energy upgrades took place the following year. A-rated high performance PVC windows and doors were fitted throughout the original house and extension. 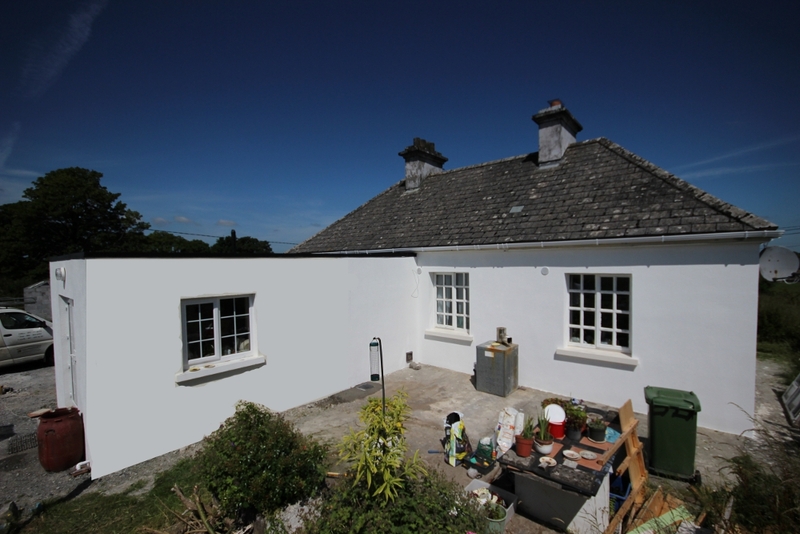 After this was completed we installed our NSAI approved External Insulation System. This phase of the work took about four weeks.